I apologize for the delay in posting this. 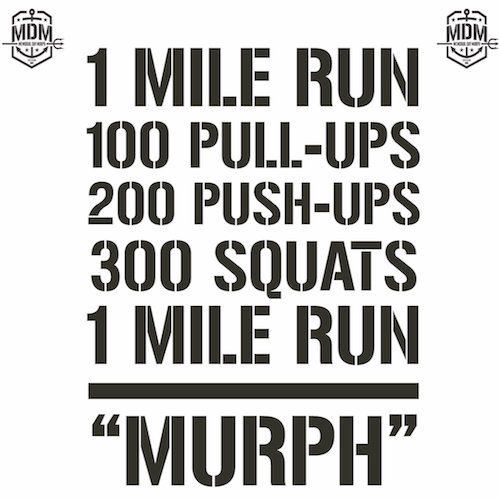 In remembrance of Memorial Day, each year my Crossfit gym does “Murph”. For those not familiar with Crossfit, they have many benchmark workouts. Quite a few are named after soldiers that have died in combat, and are collectively known as the Hero Workouts. 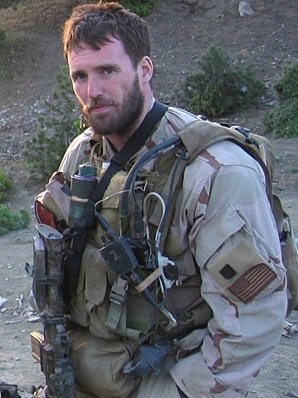 “Murph” is named after Lt. Michael Murphy, a Navy Seal in Afghanistan. For a summary of what happened the day he fell, you can read here. Or read the book “Lone Survivor“. He was awarded the Congressional Medal of Honor, and deserved that, and every other bit of honor we could heap upon him. The workout itself was one of his favorites. Please note that to do it “as Rx” you should do it with body armor on. I should also note that Lt. Murphy referred to this as warmup. As your humble author is reasonably strong but has very poor endurance, this workout took a while. And I’ve been sore enough from the pull-ups that I’m still having trouble moving my arms. I did, however, find it a unique and fitting way to honor Lt. Murphy, and all those who have fallen in defense of us, our country, and our freedom.